UPDATE: 6:41 a.m. EDT — Twitter users said there was another blast at the Rue de la Loi, near the residence of Prime Minister Charles Michel. However, reports clarified that it was a controlled explosion of a suspicious substance by the bomb disposal squad. 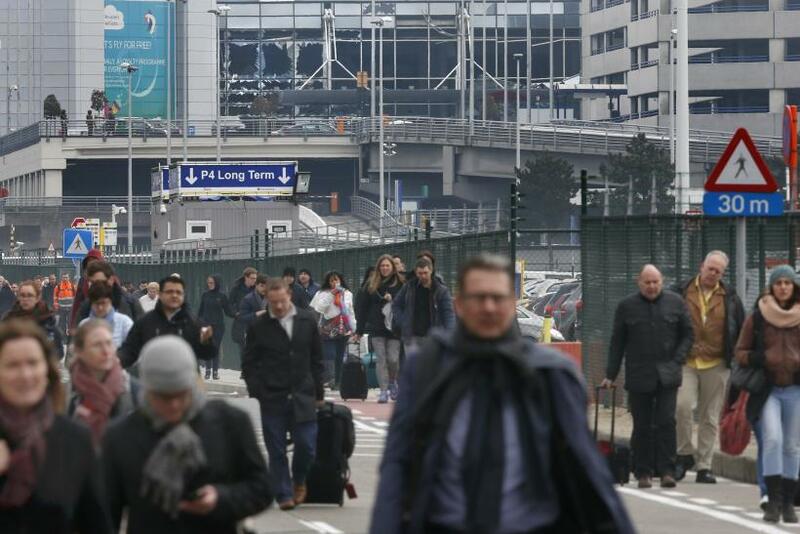 UPDATE: 6:03 a.m. EDT — A Belgian federal prosecutor said, according to local networks, that the explosions at the Brussels airport in Zaventem was a suicide attack, Reuters reported, without giving further details. 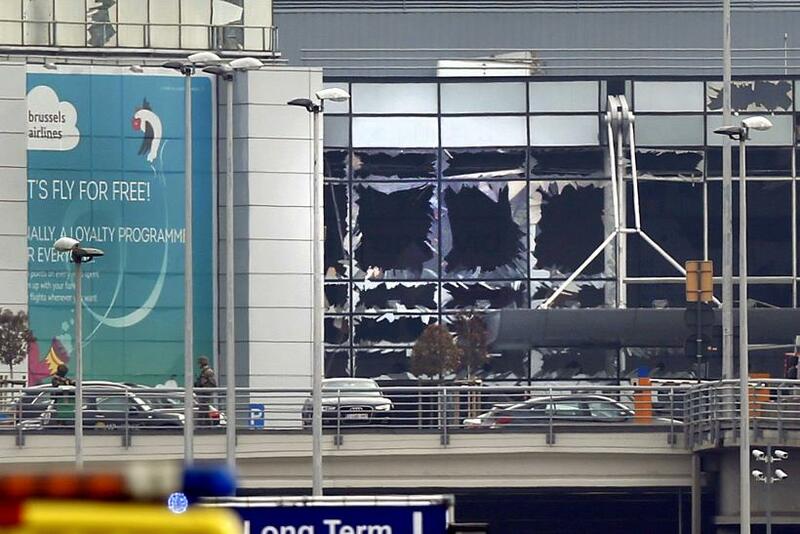 UPDATE: 5:52 a.m. EDT — Belgian Prime Minister Charles Michel met with national security advisers and said, according to Bloomberg, that the incidents at the Brussels airport and the subway system are currently being treated as terrorist attacks. American Airlines said that none of its employees or contractors were injured and that all its other employees have been accounted for, after reports said one of the blasts at the airport happened near the airline's check-in counters. A report by the Guardian also said that all the trains from Brussels stations to Paris have been cancelled. UPDATE: 5:25 a.m. EDT— All meetings at the offices of the European Union and elsewhere in the city have been cancelled following the explosions in Brussels, one of which took place near the EU offices, a senior European Commission official tweeted. A report by Reuters said that the EU offices were now under lockdown after multiple explosions rocked the city airport and the subway system. UPDATE: 5:07 a.m. EDT — British Prime Minster David Cameron said he was “shocked” and “concerned” by the explosions Tuesday. He added that the United Kingdom would do everything it can to help. He also said he will chair an emergency response meeting in Brussels over the event later in the day. Meanwhile, public broadcaster RTBF said that tram, train and the metro networks in Brussels have been shut down due to the explosions at the airport and the metro station. UPDATE: 4:53 a.m. EDT — A local Belgian news network, VRT, said the death toll from the bomb explosions at the Brussels airport has risen to 13, while at least 35 people were injured. Reuters also cited VRT to report that the blasts at the airport were a suicide attack. 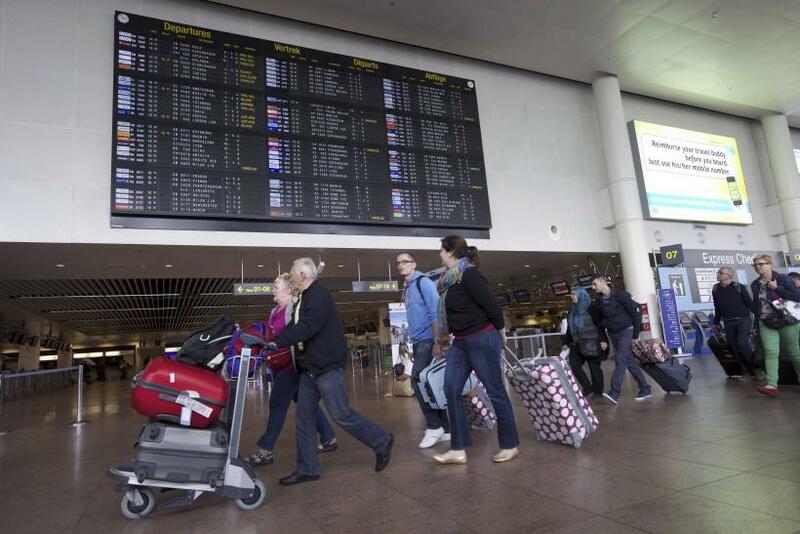 UPDATE: 4:38 a.m. — A third parcel bomb was found at the Brussels Airport in Zaventem and cleared, a correspondent for a local news network tweeted. He also cited the public broadcaster RTBF, which reported 10 people were killed in the airport explosions and several wounded. Following the blast reported at a metro station in the city, all Brussels Metro stations were closed down. A reporter for the Associated Press said that there were several casualties at the metro station near the European Union offices, but a confirmed number was not available. UPDATE: 4:17 a.m. EDT — The Belgian Prime Minister Charles Michel tweeted saying government officials were monitoring the situation at the Brussels airport and that the victims were an absolute priority. The terror level in Belgium has been raised to the maximum level and all flights at the airport have been cancelled, reports cited the interior minister. A report by Reuters cited Belgian national news agency Belga which said there were shots fired along with Arabic yells before the explosion. Twitter users also reported an explosion at the Maelbeek metro station in Brussels where all four lines of the city’s metro network meet. The station is close to the EU offices. Users posted photos of casualties at the metro station, which was reportedly being evacuated by the police. 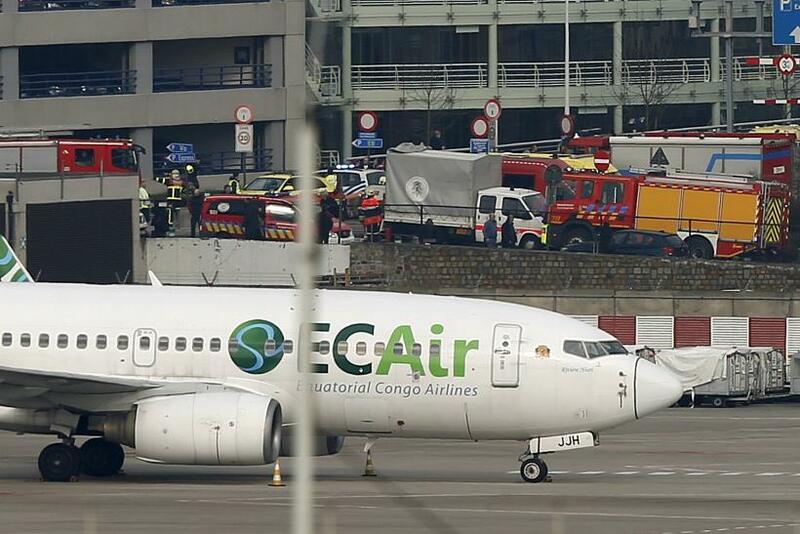 UPDATE: 3:59 a.m. EDT — The Brussels airport, which was rocked by two explosions Tuesday, is now diverting planes to and from other locations, ABC News reported citing an airport spokeswoman. The airport's Twitter account also said that flights have been cancelled as evacuations continue. Meanwhile, Brussels' national news agency, Belga tweeted saying that at least one person had been killed while several were injured. UPDATE 3:45 a.m. EDT — A Belgian security official told NBC News that there were “multiple casualties” from the explosions. Photos on social media showed shattered glass and people scrambling to leave the airport. BBC reported at least one explosion occurred at an area close to the American Airlines check-in counter but it was not yet confirmed. 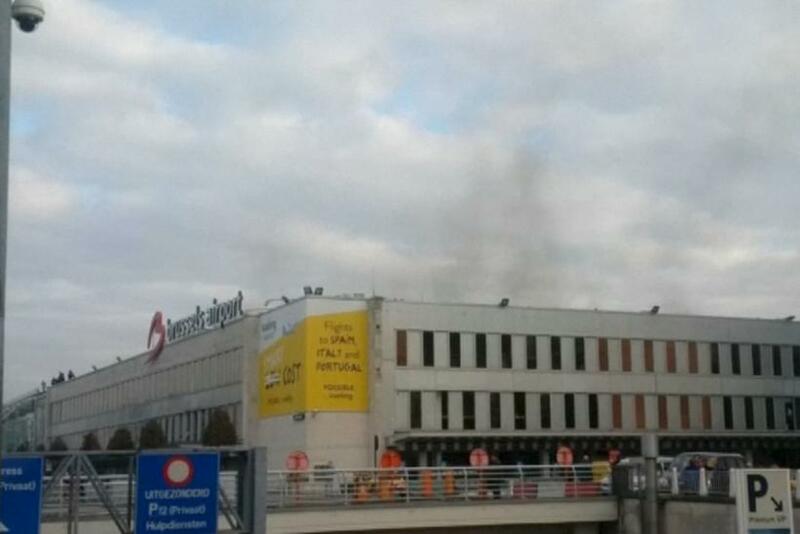 There are reports of two explosions at the Brussels Airport which shattered doors and caused smoke to rise from the building. Several users on Twitter said that the airport at Zaventem is being evacuated and posted photos from the scene as people rushed to move out of the building. The cause of the explosion was not clear, although Twitter users claimed them to be bombs and also posted pictures of casualties on the premises. On Friday, Belgian police had arrested Salah Abdeslam in Brussels. He is a prime suspect in November’s terror attacks in Paris that left 130 people dead. After interrogating the 26-year-old French national, Belgian officials said Abdeslam had a network in Brussels and was planning more attacks.